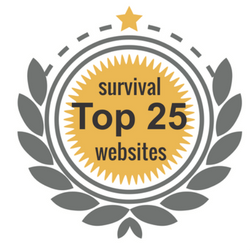 Michael Snyder, author of Get Prepared: The 122 Best Prepper Websites on the Internet - had a criteria for making his list. 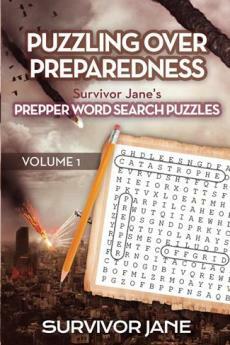 The information on these prepper websites had to be free. Michael states, "The great thing about the prepper community is that there are always highly skilled people that are willing to freely share their knowledge and experience with the general public." And that has always been my mission! Education - not money. I will be honest, it is always an honor to be named next to the who's-who and best-of-the-best in the prepper community. And I am both humbled and grateful for the recognition. Michael Snyder is the the publisher of The Economic Collapse Blog. He finds himself constantly being asked about what people need to do in order to get prepared for the hard times that are coming to this country. And he tries to do his best to encourage people to build up their emergency funds, to store food and supplies, to put together bug out bags and to do everything that they can to become more independent of the system. But he said, sometimes people need a lot more than that. Sometimes people need to have someone give them some real hands on practical advice about things like canning food or setting up home defense systems. So he set a goal of helping to connect others with some of the top experts from all over the nation - for free - as a great resource. As most of us know, America is woefully ill prepared for a disaster man-made or natural. In fact, the nonpartisan committee, GAO or Government Accountability Office report found it would take at least five years to develop a strategy to determine whether people were exposed to radiation and 5-10 years to plan a full medical response after a nuclear terrorist attack. And, that the government lacks effective coordination and in some cases is years away from ensuring adequate emergency shelter and medical treatment after a natural disaster. This is why we as preppers do what we do. We educate others so they are armed with the information needed to take responsibility and care for themselves and loved ones. As is noted in the above mentioned 2014 report the Government is not prepared and therefore will not be able to come and save you as so many think will happen in time of need. It is up to us. Whether a disaster is natural or man-made, large or small, our federal government needs to be prepared - and they are not. This report makes it clear that federal agencies need to do a better job - and so do we. Preparedness is about planning ahead. That's what preppers do. Thank you again for the vote of confidents to you all! And a special thank you to Michael Snyder!! !